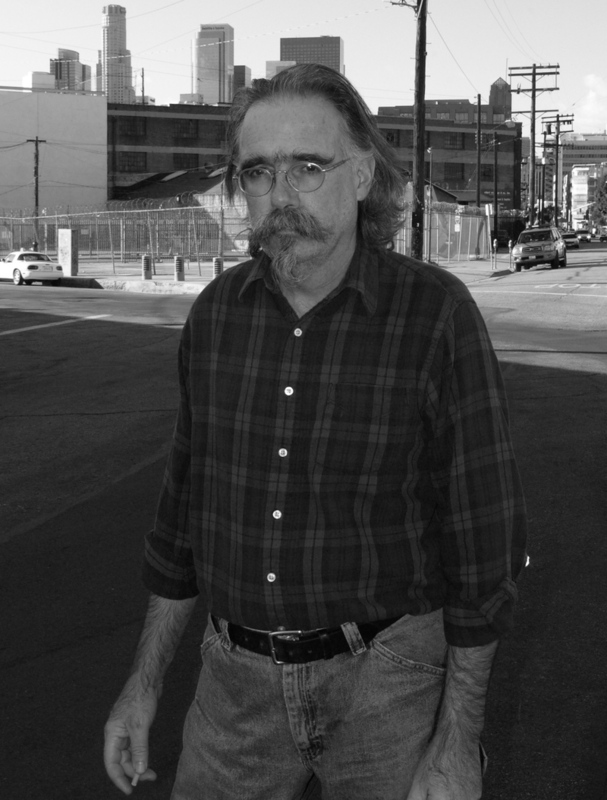 Tim Keating's time as President of the Los Angeles River Artists and Business Association was well spent, and it ends this evening at the February 20 meeting of LARABA. Leading with an idealistic view of the Arts District, some of the goals met was the completion of his urban planning workshop "Uncommon Ground", monitoring filming in the neighborhood to limit disruption for residents, and continued the building of relationships between the Arts District and City Hall, SCI-Arc, and MTA ––all while planting a few trees along the way. One unexpected challenge was the transition of the Arts District to a BID that became a political set of wills and resources, and will do little for one 2004 goal to slow the migration of artists forced to leave the area "due to gentrification" in a neighborhood built on 25 years of "sweat equity." Yet, the evening before he leaves his post while dining at East Third, he reflects back to 1982 when he met Los Angeles artists for the first time. "Artists shared ideas with others and created a collaborative environment," said Keating. He has always seen a need for a Community Art Space and considers it an uncompleted goal. He will continue his volunteerism chasing down that space as president of LADAD, as well as working with Padua Playwrights Production to produce the "Battle of Playwrights" and premiere 4 productions later in the year. Some may consider his resignation a retreat. Others know it's about picking your battles. Pictured: Tim Keating, soon-to-be former president of LARABA, in front of "the space that could use a bandshell". Photo from the Arts District Resident profile series for "Uncommon Ground."